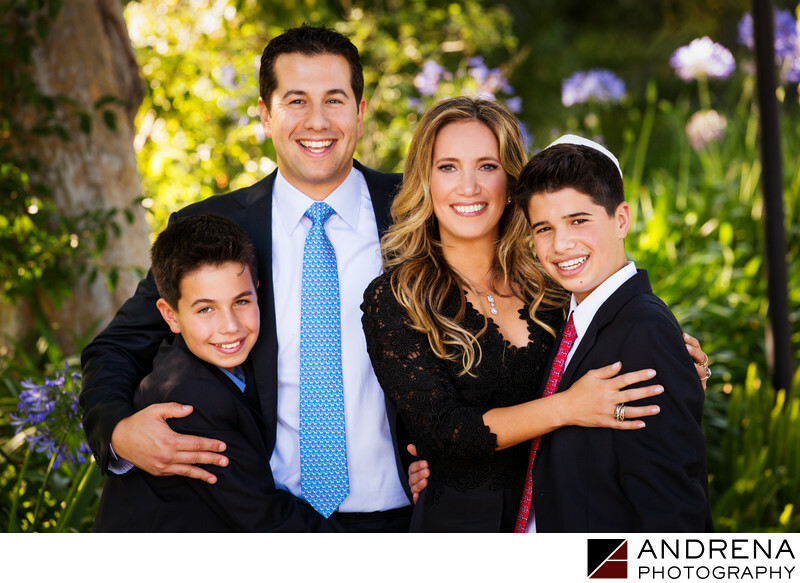 One of the most important memories from any Bar or Bat Mitzvah is a fantastic family portrait, and the members of this gorgeous Los Angeles family weren't skimping at all on the smiles. We love that this family was so relaxed and happy in anticipation of their son and brother's upcoming ceremony, and we also hope that every family is able to enjoy these close moments before all the guests arrive. The rich warmth of the colors here reflect the wonderfully cozy embrace these four shared for their favorite family image, which was taken at Beverly Hills at just the right time of day. Our expert positioning and use of light helped make perfect use of this lovely Los Angeles location.